15% off any full price Core Level, Cold Reading, On Camera, or Scene Study class. To redeem and discuss classes and availability, please call (312) 527-4566. Artists will be asked to submit a headshot/resume for approval. Offer is not valid on Voice-Over, Master Classes, and 5-week classes. $25 off (regularly $185 - $260 depending on level) any class when purchased on The Actors Gymnasium's website using the code ALTA. It is important to note that outside of the ALTA discount, The Actors Gymnasium has multiple opportunities on their own for accessibility! They offer both financial aid to adult students and artists based on need and barter/work study opportunities with their office. Individuals can opt for financial aid or barter/work study, but not both; details for the application are here. Finally, interns at the Actors Gymnasium get one free class per session they are working; Latinx artists are eagerly invited to apply here when opportunities are available! 10% off of weekend B1 classes. Enroll at Black Box's Website and enter the code ALTABlackBox in the "Order Notes" section at checkout. The discount will be applied to the remaining tuition balance after the non-refundable deposit. Discount can be applied to B1 classes that run on Saturdays and Sundays. 30% off on full of photography services and graphic & web design services. Headshots $150 (3 Photos), LifeStyle Photos/Portraits $250, Special Events contact breezeartphotographychicago.com for details. Graphic/Web Design Work: Landing Page $250, Basic Website starts $650. Includes 25 Free Minutes Marketing Consultation. When contacting include ALTA MEMBER. 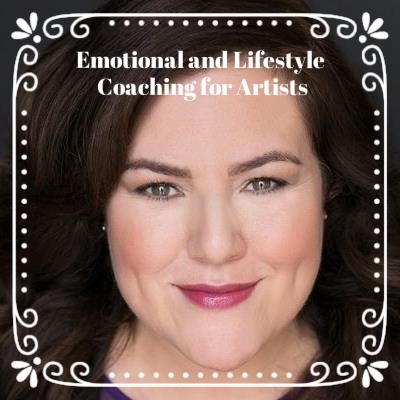 $45 (regularly $95) for one hour of emotional and lifestyle coaching. This discount is good for unlimited sessions. Sessions can take place in Jen Bosworth's office in Evanston, IL or via Facetime/Skype. To redeem, contact Jen Bosworth on her site page. Proof of membership is required upon initial session. $45 off (regularly $295) a single Meisner acting class. Call (773) 217-9565 or email info@greenshirtstudio.com for redemption. The discount cannot be combined with other offers. It is non-transferrable and non-refundable. $50 off (regularly $295) an 8-week improv class. The discount may not be combined with any other discount or promotion. The discount is valued for the iO program only. This excludes the writing classes, musical improv courses, and electives. Classes are subject to availability and ALTA members must call (312) 929-2401 and request to be transferred to the Training Center to redeem their discount. Find out more about iO on their website. 25% off a full price headshot session, including retouching for ALTA members. Please contact Juli Del Prete on her website. $25/hr (regularly $50/hr) on unlimited sessions of audition and/or resume coaching. To redeem and schedule an appointment, email Lavina@LavinaJadhwani.com. Please note that Lavina cannot coach auditions for projects she is casting or directing due to the conflict of interests. 20% off photography services. To redeem or get more information, go to Joel Maisonet's website. 50% off studio hours (regularly $90/hour) for whatever projects ALTA members might have . This makes studio hours $45/hour. $150 off voice over demo services (regularly $550), making the voice over demo serivce $400 for ALTA members. To redeem, contact Tightrope on their website and offer proof of ALTA membership. 25% off of the year-long membership program for ALTA members. Can start anytime, but must do free trial and accept invitation to join program first. Head to my-big-year.com/members/join for your free trial. $65 for your first individual coaching session (life or acting business coaching) for ALTA members. Check out The Whole Artist website for more offers and information. SPECIAL UNTIL JUNE 7TH: $100 for 1 look or $150 for 3 looks. No bookings after June 7th until the fall. $50 off (regularly $200) a 3-look headshot session. Or you can get 50% off (regularly $200) a 3-look headshot session if a friend pays full price for any other service, including headshots. To redeem, book a time on ZOtography's website and make sure to note you are an ALTA Member in the note. You will provide your card in person.